Roxanne Derkson is a Registered Massage Therapist, Craniosacral Therapist and Guild Certified Feldenkrais® Practitioner. 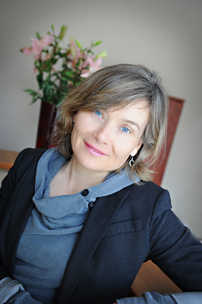 She founded ViVi Therapy in 2006. Since her graduation from the Canadian College of Massage and Hydrotherapy in 1988, Roxanne has stayed focused on her chosen career. Learning, teaching and experiencing as much about manual therapy as she could fit into 2.5 + decades. Roxanne has a lifelong passion to understand more about the body and share it with clients, students and just about everyone. 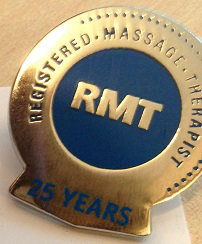 March 9, 2013 Roxanne received her 25 year Pin from the Massage Therapy Association of BC. Roxanne has been practicing the Feldenkrais Method since 1996. Studied Traditional Thai Massage in the Traditional Medicine Hospital in Chiang Mai, Thailand 1992. Since graduating from the Professional Feldenkrais program in 1996 Roxanne has studied most of her continuing education in the area of body movement and function. Co-founded The Cupping Bar with Victor Chiu a Registered Acupuncturist furthering the concept of Community based therapy focused on Traditional Chinese and Western bodywork popularity. 2013 & 2014 Continuing Education focused on diagonal and linear relationships throughout the musculoskeletal system and how they relate to myofascial dysfunction and loss of mobility. Roxanne offers Registered Massage Therapy, Craniosacral, Visceral Manipulation and private Feldenkrais Method “Functional Integration®”, Feldenkrais “Awareness Through Movement” classes are offered in her Oak Bay location. Private Feldenkrais instructor and practitioner at the Feldenkrais Learning Centre Brisbane, Australia 2001–2005. Established ViVi Therapy in 2006. General Practice for all ages.